There's no Marvel banner ahead of Disney's latest animated action-adventure, but it's a Marvel movie in all but name. 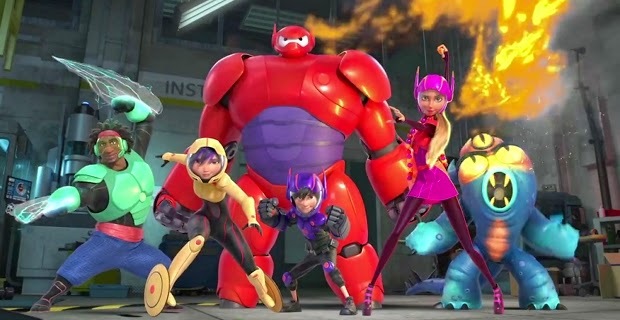 As source material, Big Hero 6 is about as unusual a choice for adaptation as last summer's Guardians of the Galaxy, but it marks the beginning of the House of Mouse adapting from the extensive back-catalogue of their most lucrative acquisition. They've also thrown out much of the story from the comics, which were a tongue-in-cheek 1990s reboot that pulled in several characters created by Marvel to capitalise on the Western popularity of Japanese culture in the 1970s and focused on a new story with the young characters. Hiro Hamada is a child prodigy who is persuaded to stop squandering his skills on illegal robot fights and enrol with the university's robotics department. But a family tragedy throws him off course, leading him to use his talents to investigate a mysterious and powerful thief with the help of four of his fellow students and an inflatable robot health assistant named Baymax. Aside from the source material, there are lots of riffs on previous Marvel Studios movies in the mix here. Specifically, it takes all of the fun parts of Iron Man's research and development scenes, Guardians of the Galaxy's goofy sense of humour and team dynamic, and a climactic setpiece straight from the Avengers playbook, and packages it for a younger audience. However, it's got a couple of tricks of its own too. The first is the city of San Fransokyo, a setting which, as the name suggests, hybridises American and Japanese iconography to stunning effect, with some terrific production design rendered up to the standard we've come to expect from Wreck It Ralph and Frozen. There are shots here that look like the "Art Of" book came to life and in terms of visual imagination alone, this is one of the most original things that Disney has put out in a while. The other big, cuddly thing in its favour is Baymax, who has unsurprisingly been at the forefront of the film's marketing campaign. 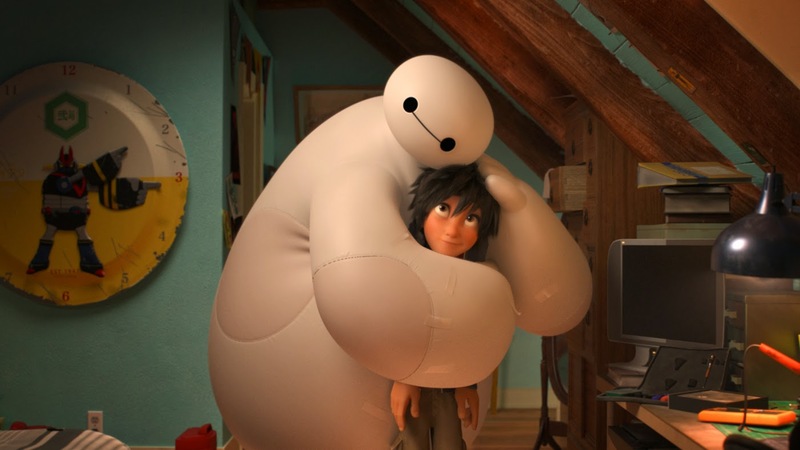 Perfectly voiced by Scott Adsit, Baymax is consistently the best and funniest character, flummoxing Hiro's attempts to make him as tough as his contemporaries in more violent movies with a pitch-perfect mix of cuteness and comedy. You could build a "boy and his robot" movie around this character all by himself, but at the centre of a team movie, he easily steals every scene. By default, the rest of the titular sextet would be less distinctive characters if not for the vocal performances and the vibrant design of their respective costumes. Ryan Potter makes a sympathetic Hiro, while TJ Miller, Damon Wayans Jr, Genesis Rodriguez and Jamie Chung keep the energy up with their cross-talk and James Cromwell brings gravitas to their wise professor. It also helps that we see some super skill-sets that haven't already been comprehensively covered in the extensive live action Marvel movies, like coming up with chemical cocktails to solve individual problems. If any of this sounds defensive of the more well-worn story, it's not to say that any lack of originality on the film's part is necessarily a bad thing. Yes, those of us who are au fait with the ever more prolific Marvel cinematic universe have seen this kind of thing before, but Big Hero 6 does it just as well and, crucially, does it for the original target audience. Bearing in mind that most comic book movies are rated 12A and strive for Dark Knight-style political grounding, the PG market has been grossly underserved in recent years and this kind of film is invaluable to the intended demographic. Big Hero 6 has almost nothing that we haven't seen before, but this is going to dazzle the younger target audience. Dispensing with the casual violence that usually comes from Tony Stark and his pals but keeping Marvel's colourful characters and Disney's traditional methods of dealing with loss and growing up, it's the best possible delivery of some well-worn tropes, and in Baymax, it has a character as instantly iconic and likeable as Groot was in Guardians. It'll go down a storm with kids, but even if you have seen all of those other Marvel films, this is also a perfectly decent appetiser on the way to Avengers: Age of Ultron. Big Hero 6 is now showing, in 2D and 3D, in cinemas and IMAX screens nationwide. 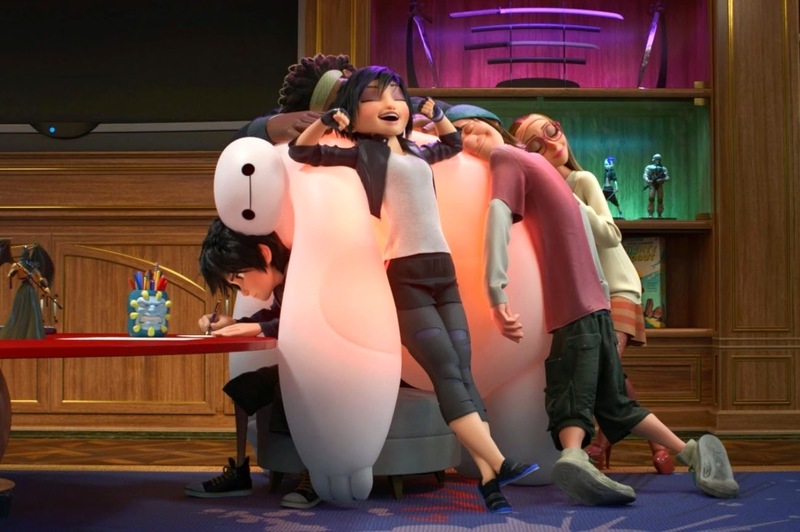 If you've seen Big Hero 6, why not share your comments below? Who wants to be the first to bet on Disney making Howard The Duck next?